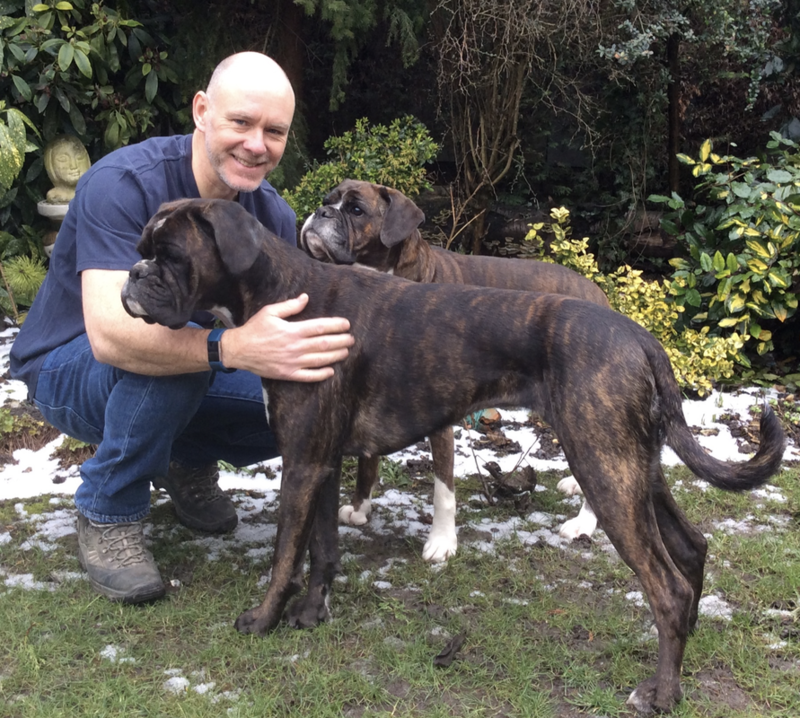 Paul is a qualified Clinical Canine Massage Therapist and Dog Trainer (and Boxer owner) working in Herts, Beds and North London. Paul and his wife are supporters of HCBW and Paul offers his Massage treatments to HCBW for any dogs in our care free of charge. Canine massage can help with strains, post operative care and temperament issues. Paul is offering to donate (£4) 10% of his hourly Consultation fee, which is £40 per hour, to Home Counties Boxer Welfare for any booking made via the HCBW offer (please just mention HCBW when booking). Paul will also be at the next HCBW Dog Show & Fun Day in Tyttenhanger on 9 September with a trade stand offering free muscle checks for dogs and will be demonstrating canine massage so if you are coming along please do pop by his stand and say Hi!